We offer them month to month, with no contracts required. Simply buy the number of minutes you want for the month and enjoy receiving incoming calls from your colleagues, family, friends, or customers in Barbados. If you run a Barbados business from afar or otherwise serve the Barbados market, setting up a virtual number specific to the Barbados is a smart way to communicate with suppliers, customers, business partners, and others living or working in the island country. 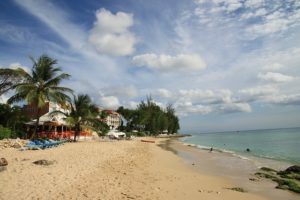 What is a Barbados virtual phone number? Virtual phone numbers are the most portable phone numbers in existence. They are not tied to a location or specific phone, but rather to any phone number that you designate. Moreover, you can change the designated “ring to” number at any time. For example, you might start your business from home, so it would make sense to have your Barbados virtual phone number ring to your home phone number. But as your business grows, you may later move your incoming calls to a branch office. No need to call the phone company. Simply sign into your account and change the ring to number to your branch office. You can even change the ring to number periodically throughout the day — or set up its built-in advanced “time of day” call forwarding feature so that it handles the calls the way you’d like them to be handled based on the time of day they are made. Barbados virtual numbers are a special type of virtual number that work as described above. However, they are unique to Barbados and can be configured to ring to virtually any international phone number in the world. These virtual phone numbers look like any other toll free number in Barbados, but yet they could ring to a home, mobile phone, branch office, or call center in: India, USA, Canada, Vietnam, Singapore, Italy, Iceland, Russia, Australia, New Zealand, United Arab Emirates, South Africa, France, Hong Kong, the Philippines, and so on. Why Get a Virtual Barbados Toll Free Phone Number? Your new Barbados virtual number will immediately give your business a local presence in Barbados. Your customers and contacts there can call you internationally, but toll free. This is particularly important if you have customers, clients, and other VIPs who need to reach you. Likewise, many parents who have adult children living or visiting Barbados opt for a toll free virtual number so that their kids can call home at any time without worrying about how to pay for the call. A toll free virtual phone number for Barbados also makes it easy for callers to reach you internationally. For example, not everyone is comfortable making international phone calls. Some may be unaware of the need to dial a country exit code first. Others might worry about the potential cost of dialing internationally. By getting a Barbados virtual number, you make it easy. Our virtual Barbados phone numbers are easy to set up, loaded with advanced features and affordable. We offer them month to month, with no contracts required. Simply buy the number of minutes you want for the month and enjoy receiving incoming calls from your colleagues, family, friends, or customers in Barbados. You can cancel at any time.